The first president to legalize weed still has a lot more to give. 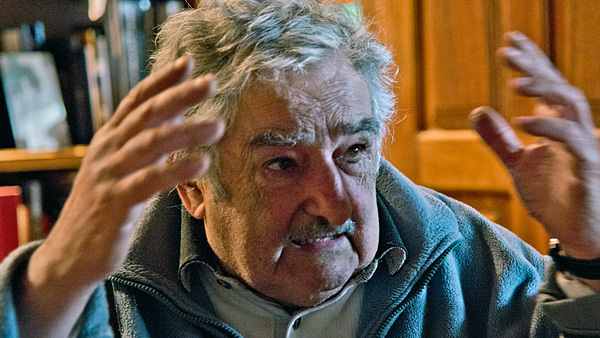 When Uruguayan President José “Pepe” Mujica finishes his term, he plans to adopt dozens of children and teach them to work the land, Uruguayan daily El Observador reports. “I’ve got the idea to take 30 or 40 poor kids and bring them to live with me,” Mujica, 78, said during a meeting with business leaders. Asked by El Observador when he’d move forward with the adoptions, he said “after I remove this sash that’s been weighing on me,” referring to the end of his presidential term in March 2015. It’s not the first time Mujica has publicly considered such plans. In 2006, before he became president, Mujica and his wife began filing paperwork to start an agrarian school on their 64-acre plot of land outside the capital of Montevideo, according to El Observador.